Update! We’ve landed on a date and location! After the success of our Kansas City Regional User Summit earlier this year, we wanted to move the party a bit further north and give more of our clients the opportunity to gather with us for a half-day of sessions and networking. That’s why we’re thrilled to announce that we’ve selected the location for our next gathering. So where is it, you ask? We’ll be meeting up with you in the city that boasts Wrigley Field, a metal bean, and skyscrapers that look like giant corncobs. That’s right, we’re talking about beautiful Chicago! 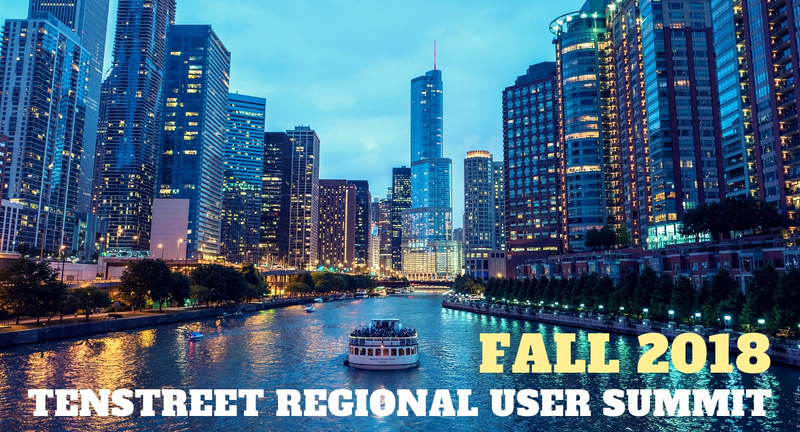 These regional summits are designed with our local clients in mind, so you can expect a half-day crash course that covers topics you tell us you’re interested in hearing about. We tailor this material to suit the questions you have about the industry, your business, and our tools. We also make sure to include time to network, share best practices, and ask questions. Since this event is about bringing value and information to our users, we want to hear from you. Shoot an email to emily.buck@tenstreet.com to let us know what dates would work best and what topics you’d like to see covered and we’ll keep you in the know as we finalize the details of this gathering. We’re counting down to our time in the Windy City already. If our beloved regional clients weren’t enough of a draw, we just learned that Chicago boasts 37 movable bridges, more than any other city in the world. That’s enough to get us anywhere–will you join us? Please shoot me an invitation when you get things finalized. Would like to attend. We’ll definitely do that, Dennis! Thank you for your interest, you can expect to hear from us soon. Can’t wait for the conference in Chicago and the 3rd annual in Las Vegas! We can’t either, Vilma! We’re just as excited! Unlimited Carrier will be there, looking forward to the sessions and networking! Great!! We look forward to seeing you there! I think I’m interested in this summit – just not sure it’s for me. I’m HUman Resources for our company, but I am also in charge of truck safety – driver background check (safety & driving records). Would this summit be for me – I’m looking for regulations I believe. Hi Laurie, it’s definitely for you! We’ll be covering recruiting and safety mostly, with lots of Q&A time! We’ll be sure to keep you posted as the agenda is finalized. Hi Shelley, we love our users in North Carolina! We’ll see what we can do to come back out there! Would like more information on signup , etc. Thanks! Hi Greg, we’ve passed your information on to our team and will be sure to keep you informed as our plans develop!